"So are You feeling romantic? 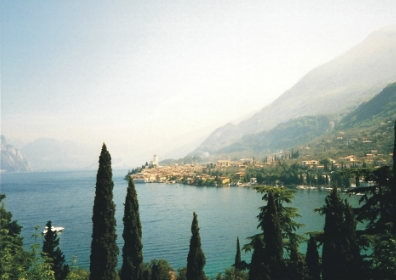 Discover the best Lake Garda Romantic places to visit." There are many Lake Garda romantic places to visit and the wonderful charm and atmosphere, not to mention the amazing scenery, is sure to impress your partner! There is something very romantic about being by a beautiful stretch of water and when it's a lovely as Lake Garda then you can see why people choose to get married here. It's such a relaxing place to be and with such a range of things to do, you are sure to find something to make it an unforgetable trip. Let Lake Garda bring out the romance in you! You access this wonderful town by an ancient drawbridge to the castle and straight away you know you are somewhere special. It's awesome location on this narrow peninsula only makes Sirmione an even more unique. It's old and narrow streets are packed with lovely shops and places to eat and you are never very far from the Lake. This place has got a lot of atmosphere and wow factor, surely one of the top Lake Garda romantic places. This is a great spot and another favourite place to visit. The town has so much to offer from it's lovely harbour, great views and a really good selection of shops. You can also take the cable car up Monte Baldo and enjoy the awe inspiring view from 6000 ft up, very romantic. You could also get a private chartered yatch from here or simply wander around the beautiful streets. 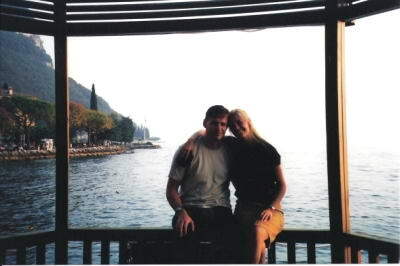 Another highly recommended Lake Garda romantic place to visit. The view from the top of the lake on a clear day is a sight to behold. Imagine waking up and drawing back the curtains to be presented with the blue waters of the lake being held in check between the dramatic mountains! 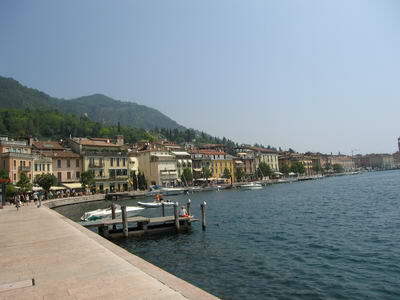 While some of the town is a little more commercial if you stay by the lake I am sure you will enjoy Riva. The harbour and lakeside walks with the mountains reaching up behind you provide a certain drama and are sure to impress. This is a charming town in a wonderful location. As you approach Limone by boat the mountains behind are so vertical you wonder there is a town here at all! There are some lovely winding back streets which are great for browsing the local shops. There are usually loads of flowers all around the town which just makes it even more attractive and you can enjoy plenty of lovely lakeside meals.